What else can I say? It’s cake I can eat for breakfast, lunch, dinner and dessert. And I made it! PS: Thanks for making me look good in the office. The coworkers downed it fast. 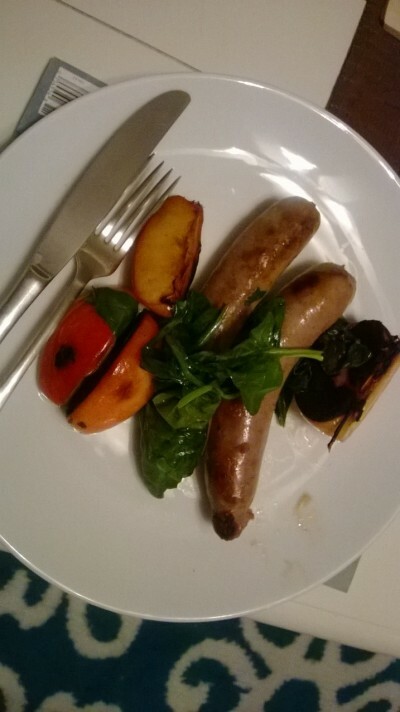 I had sausages. I had apples. Bon Appetit has a recipe that puts them both together. This recipe called for watercress but I couldn’t find any at the store. Luckily, any hearty green could fill in, so I used spinach. What a pretty green color. 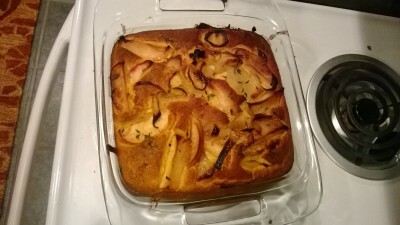 In addition to a fairly simple and fancy-looking meal, recipes like this make me think of how underrated apples can be. Also, how you can swap out potatoes for these delicious treats in a dish like this. It’s November aka pumpkin season. 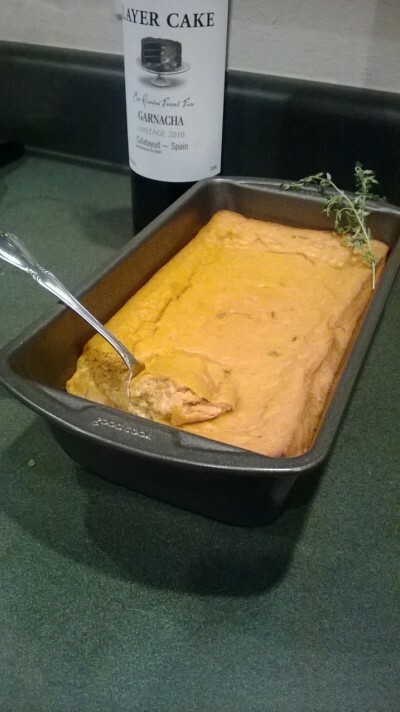 I went out on a limb and tried my hand at this pumpkin spoon bread. It was weirdly good. I guess I anticipated more sweetness – for some weird reason – but the spices are a really nice complement to mulled wine or hot apple cider. 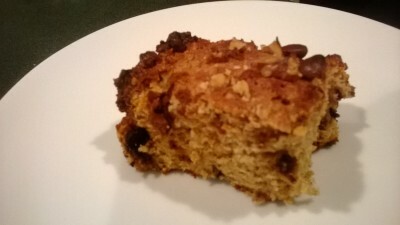 Thanks pumpkin spoon bread! Next time, I’m taking you to a Thanksgiving feast. I like cornbread. Who doesn’t? I decided to make some. 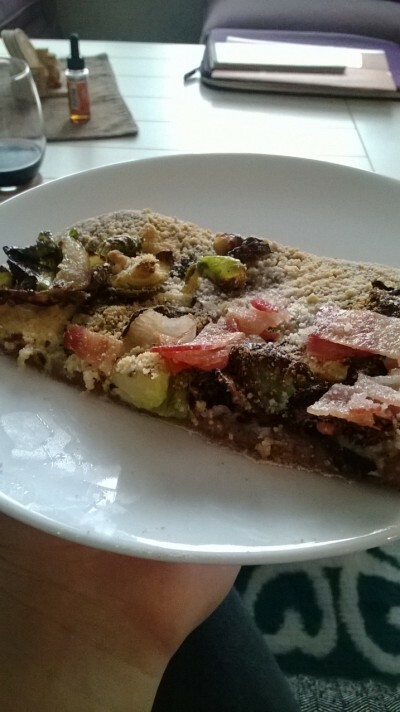 On the same day as Brussels sprout pizza? Preposterous! But no, it can be done. I’m new to cooking so I was happily surprised that cornbread is really easy. And I felt extra fancy dropping in a couple extras like apples and onions, both of which I enjoy heartily. Thank you, Bon Appetit for presenting this joyous opportunity to make a warm and flavorful side dish. I must admit, I subscribe to Bon Appetit mostly for the amazing photography – and sometimes, reading about preparing a delicious roast makes me feel this much closer to having actually done it. Mostly, I don’t feel apt to prepare such lovely dishes, but once in a while, I come across something too fun to pass up. Pizza. 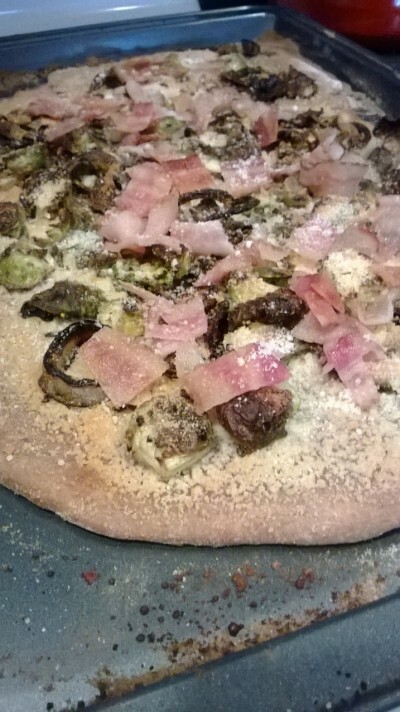 With Brussels sprouts. And the extra bonus: Natalie is a Brussels sprout aficionado. What better way to honor her than making something with this severely underrated cabbage-like delight? True, it hardly compares to something she would have whipped up, but I must say, I quite enjoyed my foray into pizza-dom. And really, how can you mess up something with bacon on it?